After some research about hair transplant i found Clinicana in Turkey. Why Turkey? Because is cheaper...everyone know’s that. Why Clinicana? Because all the reviews push me to this clinic. Since I arrived in Turkey everything was spot on. Communication was very good. The team was more then professional, the clinic is very nice, then the hotel was perfect as well. I am very glad I choice Clinicana. I will recommend to everyone...because they are professionals and for sure you will have great results. 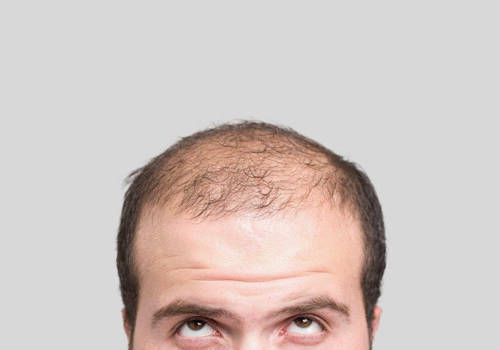 I had hair transplant with 3500 grafts. The operation went very well. I will definitely tell anyone to come to Clinicana, because they will have a very good tratament for a good price. It is not totally painless but nothing to worry about. The personnel is very gentle and with experience. The doctor does not perform the operation itself but skilled assistants, he only supervised it, appearing from time to time. It seems to me that the whole procedure requires a lot of experience since is practically completely manually done. Skilled people with experience and lot of hs in doing it is key to for success. The whole procedure took around 6 hs for 3600 grafs. Communication, team, clinic, transfers was alright, everything worked as expected. Cannot say nothing before I see the final result but I’m confident it will be ok. I can recommend it for everyone who wants an affordable solution, within 3 days, and handled very professionally and with a lot of support. I checked online reviews and they were really good and than I contact mulham and start talking with him after talking him I feel save and confident clinicana team is excellent and cooperative hospital is very clean hotel and transfer was amazing. It's totally tentoin free pick up and drop one day to last day they treat very well. It's amazing I just heard transplant it's pain full procedure but I am wrong they did really good job 4000 grafts but i didn't feel any pain and they explain really good before i am comming here when i ask any question they answered and they help me alot I am really highly recommended Clinicana..
Everything was excellent. The service of the staff, explanation, amount of grafts transplanted, service at the hotel and procedure. Very professional. The procedure is fine by two staff members who took shifts to do it in a reduced time. Takes about 2 hours per 1000 grafts. Can become a little uncomfortable during the operation but no real pain is experienced. Before the surgery you are given all the medications needed for the following days and full detail about time and amounts. Hey I jus had my FUE hair transplant in Clinacana. My experience was very comforting from the first text I made to Alaa I felt this was the clinic. The staff are very nice and very helpful and made me feel very welcome. I had 4200 grafts transplanted and there is no real pain as they applied local anastetics and I was fine. I’m so happy I made this trip to Clinacana and cant wait to see the results I feel really confident and happy with my experience. Thanks to all the staff and doctor Royd for there help. I choose clinicana because they have good reviews online. The communication was perfect. And the weather and the environment in istanbul was very amazing. I had hairtransplant with 4550 grafts. The operation was in good conditions no pain except for the anesthesia (about 5min). Over all the experience was good. It was recommended by a friend in Sydney and they shared their pleasant experience with Clinicana. The communication, team, clinic, hotel transfers, absolutely everything was a good experience and very smooth. I had 3500 grafts done and the operation in general is very straight forward and it’s not too painful. I have already told a friend back home about this treatment and will tell everyone because the entire package with Clinicana (Transfer, Hotel, Hospital, Staff) is all 5-Star service and very good value. The Clinic is clean, neat, new and the management staff/driver are very friendly and respectful. The location of the Clinic is close to famous taksim square. Surgery was rather efficient in 6 hours (3600 grafts). They have high volume (5-8 surgeries/day). 3. No entertainment tools were available in the operating room. Nurses who do the surgery were talking in Turkish all the time to each other (they don’t speak English). WiFi connection in the room was weak. I used my app to listen to Quran but one of the nurses was bothered by the voice and asked me for using headphones which I did not have. 4. I asked for local anesthesia but nurse refused to apply it at least in 2 occasions. 5. Th donor area continues to be red 3 weeks after the surgery which was not something I prepared for as it is embarrassing in public. I shared above with the manager and he was appreciative of he feedback and promised to improve although he stated that they already use the (best surgery tables/pillows). I am looking forward seeing the results in a few months! A local hairdresser in my country recommend the clinic as he knew a number of people who had been already and they were all impressed with the results. Also the pricing was a factor as it is highly competitive compared with the UK. The communication was pretty decent, the transfer was fine, the hotel excellent and the clinic was very modern and clean with friendly staff. I was advised to opt for the FUI treatment and ended up having 3600 grafts in total. The treatment was pretty much as expected with the staff being great however the nature of the procedure can be a little tedious for the patient so I would suggest better WiFi access or English speaking films to be shown to the patient to act as a distraction. I would definitely recommend the treatment and clinic to a friend in the future. I believe it was great value for money compared to the UK but obviously need to wait for the end results.